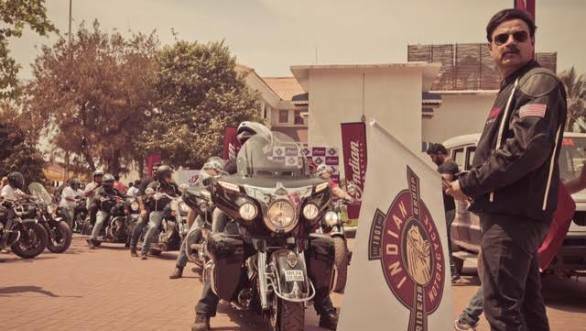 Classic motorcycle brand, Indian Motorcycle has announced an official group - the Indian Motorcycle Riders Group (IMRG) - for its customers. This platform will bring all the Indian Motorcycle riders and enthusiasts together, says the company. Each IMRG member gets a unique card with a patch and a pin. They are also entitled to special discounts on motorcycle insurance. In addition, they will get exclusive invites to events and rallies. The IMRG members will also get special discount on merchandise, apparel and accessories. Also, a member will be awarded 10,000 participation points on induction into the group. More points can be scored with participation in other official events. Each point is worth Rs 1 and can be redeemed at any Indian Motorcycle dealership. The membership has been divided in two categories, the first is for Indian bike owners and the other is just for fans of the brand. The latter is designed for friends and family of the Indian Motorcycle owners who want to ride and be a part of the group. These members can own any own other brand of motorcycle but need to pay a membership fee to ride with the group.